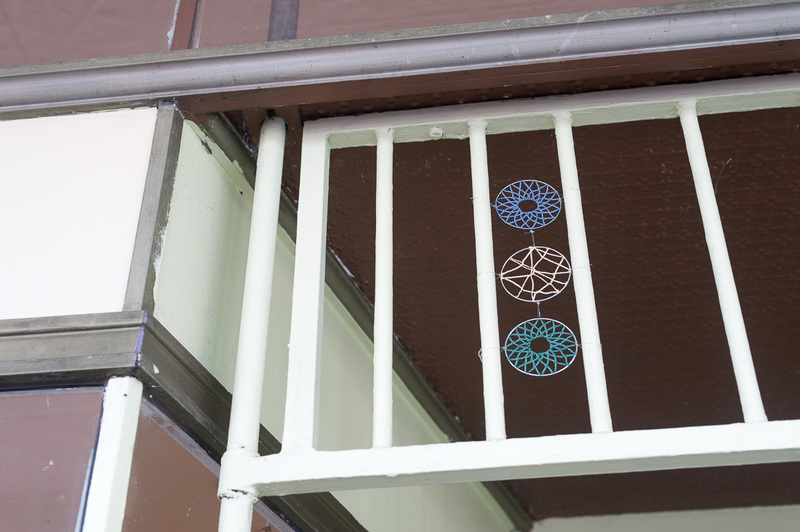 A series of wire lace pieces made for Darebin’s High Views Small Works Small Spaces Exhibit. 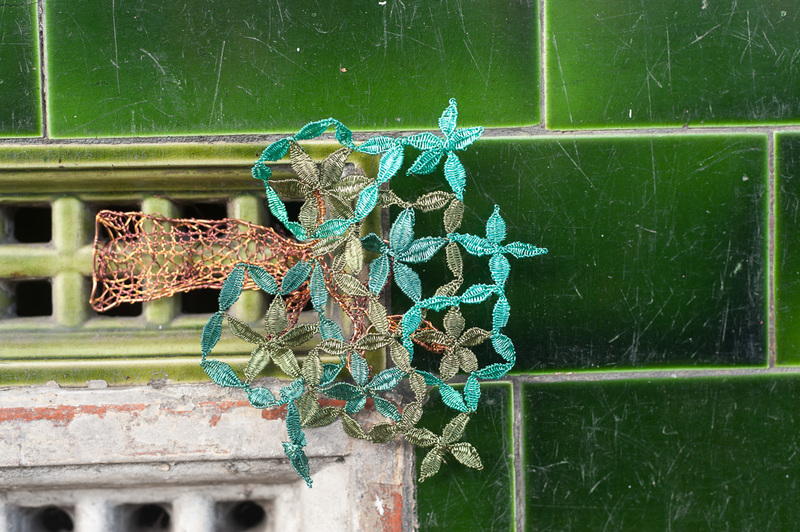 The first piece was a wire lace branch protruding from the vent on the shopfront of the Friendship Tree in Northcote. 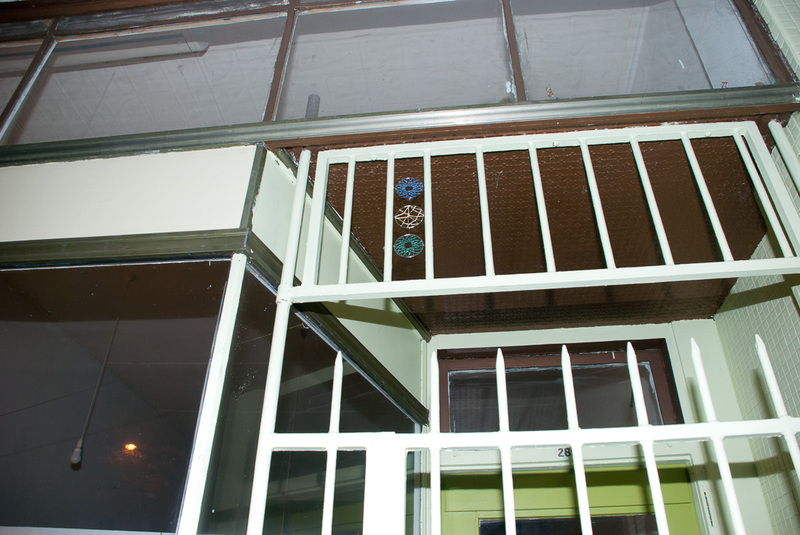 The piece reflected the nature of the tenant suggesting that the tree was stretching out form inside the building. 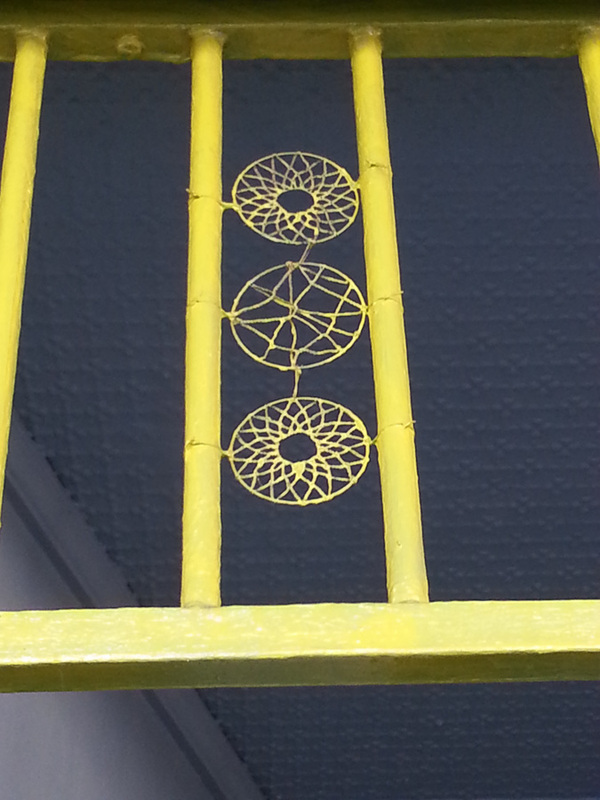 The second piece was a series of round wire sculptures inserted above te entrance of a Quirk of Fate. These small snowflake like pieces are small and made to blend in with their surrounds. 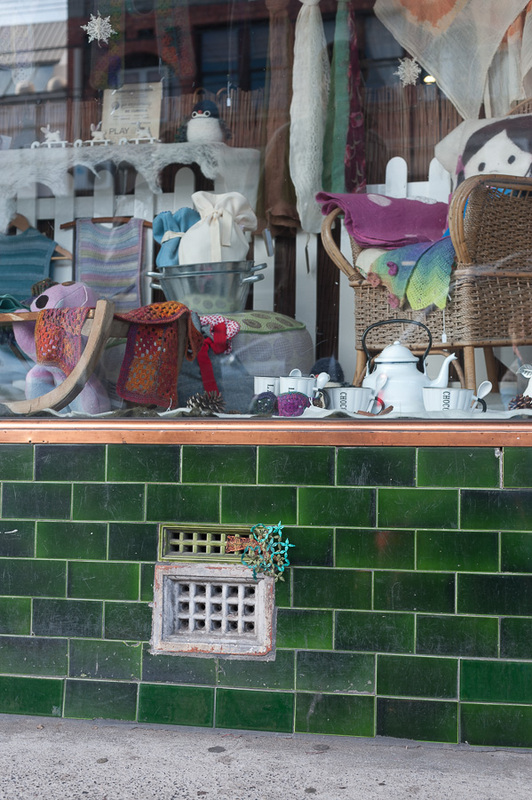 The later work still remains and has since been adopted into the entrance when the shopfront was repainted.